At around 11.00 am, on the morning of May 7, 1915, the British ocean liner, the RMS Lusitania broke through a thick blanket of fog. In the distant lay the indistinct smudge of the Irish coast. The world’s largest passenger liner at the time, the Lusitania had some 2,000 people on board, making the crossing from New York to Liverpool. It was to be her last journey. At about 14.00 that same afternoon, she was struck by a torpedo from a German U-boat and sank within 18 minutes. Her last message gave her position as 10 miles south of Old Kinsale, off the southeastern coast of Ireland. It would take another two hours before the first steamer could reach the scene. The Wanderer finally managed to hand her pitiful cargo over to the Admiralty tug, Flying Fish, who took the survivors on to Queenstown, in southern Ireland. 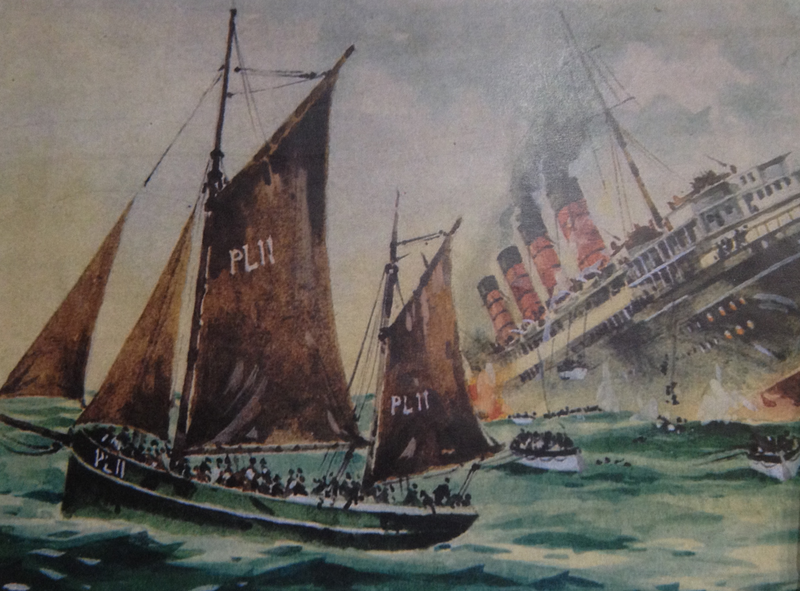 In total, nearly 1,200 people lost their lives that day, but the sinking went on to have far reaching consequences for Germany. In firing on a non-military ship without warning, she had breached international law (in spite of the fact that it is believed that the British had been flouting the rules by carrying war munitions). The outrage across the Atlantic in America helped to shift public opinion and went on to be instrumental in America’s eventual entry into the war two years later. As for the Wanderer, well little remains of her role in the events of Friday, May 7. The Manchester Manx Society organised for the men to receive specially struck medals to mark their pivotal role in the events, but the only permanent reminder of what happened is a plaque adorning a wall in their home town of Peel. 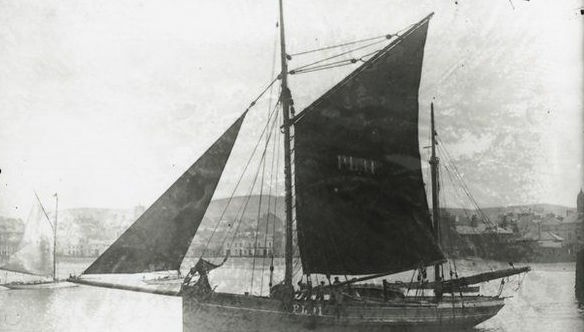 The boat itself continued to fish the waters of the Irish Sea until the 1930s, eventually ending her days in Ireland, all but forgotten except for a few letters home and a plaque on a wall in a small fishing port on the western coast of the Isle of Man.